We'd heard Apple and Samsung's responses to Friday's lopsided decision in the pair's patent scuffle fairly quickly. But there was a third party that felt the impact every bit as much as the two litigants: Google. And it had been quiet as a dormouse, until late last night. The court of appeals will review both infringement and the validity of the patent claims. 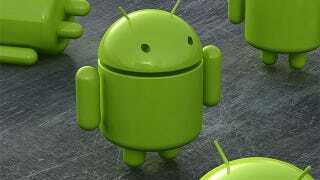 Most of these don't relate to the core Android operating system, and several are being re-examined by the US Patent Office. The mobile industry is moving fast and all players-including newcomers-are building upon ideas that have been around for decades. We work with our partners to give consumers innovative and affordable products, and we don't want anything to limit that. This should be read as a message to Google's other Android OEM partners more than anything, a gentle reassurance that they don't need to run into Windows Phone's arms. Most of those don't even matter, Google coos as HTC scratches its forearm uncomfortably, besides, everybody does it. It's all true, of course. The appeals system means this case is far from over, and the industry—any industry, really—is built on what came before it. Then again, if Google didn't think patents were critical and sound, it may not have coughed up $12.5 billion for Motorola.